The scandal at NNU is now entering its second week. What started out as the announcement of a simple restructuring plan has grown into a wildfire of conflict. Unfortunately, I am far too involved right now to back out. My blog posts and comments are available and public. There is no turning back. With that said, if I owned a Delorian I might go back in time a week and encourage my more ignorant self to stay away from this one. As I move forward without my Delorian, I do want to clarify that by supporting Tom Oord I am not worshiping Tom or even agreeing with Tom’s views and opinions. I think the best person to defend Tom’s theology is Tom himself, which he has done repeatedly. Instead, I am supporting my friend, someone who taught me how to love and how to think and who has reached out to me numerous times to give me opportunities and career advice. With that said, to say this issue is about Tom Oord would be a crazy understatement given the events of this weekend. This has grown to be a very complex and interesting dilemma, one that involves the entire soul of the Church of the Nazarene and her commitment to higher education. As we enter week two, it is not time to back away from this dilemma or let it fade into the night, but time to recommit ourselves to charitable discourse, peaceful (and hopefully speedy) solutions, prayer, fasting and, of course, living lives of love. With that said, it also a week to be a bit reflective. Most of what happened last week was understandably reactionary. Now that the hard data is out (which you can read here) it is perhaps time to stop reacting and be more discerning and proactive. Therefore, my blog posts this week will focus on discussing the deeper issues at play. These issues include the role of leadership in the 21st century, the ongoing battle between conservative fundamentalists and the more moderate wing of our party (to say the Church of the Nazarene has liberals is to vastly misunderstand the meaning of the word, “liberal”), the role of social media in aiding or preventing charitable discourse and the relationship between the sanctuary and the classroom. At the same time, I am not promising I will address all those issues. I do still have a local ministry context that deserves priority. 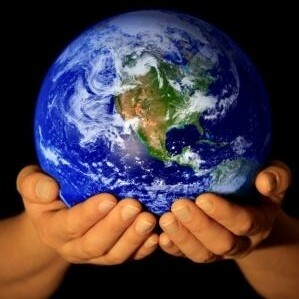 However, these greater issues need to be discussed or they will continue to bubble to the surface again and again. Since I just wasted a lot of my word count on introductory material, I only want to say a bit more about leadership in the NNU situation. 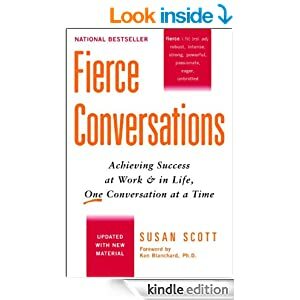 I have lately been profoundly influenced by the book, “Fierce Conversations” by Susan Scott. In the book she argues that careers, marriages, institutions and churches fail one conversation at a time. Due to my own connections with NNU’s campus, I know that this is exactly what has happened here. Over the last four years there have been several conversations between the faculty and administration that have served to metaphorically stack up a large pile of dry tinder. Some situations before this one have even poured gasoline on that tinder. After the pile of wood and gasoline had been constructed, all it took was one spark to set the thing ablaze. This spark was the layoff of a highly public and controversial professor. To change metaphors, it was like the dominoes had been stacking for years and Tom Oord was the single domino that set the chain going. The comments on Facebook and Twitter and the faculty’s letter have all shown that to be the case. With that understanding in mind, President Alexander’s apology about the way in which Tom Oord was terminated seemed a bit misunderstanding of that truth. The issue right now is not about Tom but about a severe lack of trust between a faculty and an administration. It now involves the very structures and covenants on campus. With that said, I have very much appreciated the confessional community surrounding NNU. Several times on the “Support Tom Oord” page we have posted our own apologies, clarified our own mistakes and even prayed a liturgical confession together. And in that spirit of confession, I know that I too am a leader of an institution, albeit a much smaller one and God uses situations like this to ask me, “what dry tinder am I piling up? What gasoline am I pouring? And how can I disperse and water it all down?” Those are good questions every leader should ask, particularly before something sparks a wildfire.